JAY-Z's 4:44 tour is officially underway, with some reports pointing out that the legendary emcee may be having some difficulty tickets judging from the $6-11 tickets that have been appearing on StubHub in select cities. However, Live Nation has since explained that the cheap ticket prices do not reflect that fans aren't interested in seeing Hov perform live, but rather that it's all part of a strategy to combat ticket re-sellers from running the floor. As confirmed by Live Nation in a new Billboard report, the 4:44 tour will be the highest grossing solo tour of JAY-Z's storied career to date. "This tour will be the biggest headlining tour of Jay's career," Omar Al-Joulani, VP of touring at Live Nation, confirmed to Billboard. According to the in-depth report, sales are already up by 21% from his 2013 Magna Carter tour, an impressive feat considering the rapper is only three dates in. As pointed out by Billboard, the cheap tickets appearing on StubHub prove that JAY-Z's team is among those who are successfully re-strategizing the future of ticket pricing. By aggressively pricing front row seats and VIP experiences, there is room for tickets to be priced closer to actual market value, in turn making it more difficult for scalpers to jack up the price when re-selling, all while taking the pressure off pricing upper-level seats at a high price point. As a result of this strategy, which has been previously executed by other acts including U2, Coldplay, the Weeknd, Radiohead, One Direction and others, fans are able to experience live music for less money without impacting the overall gross of the show. 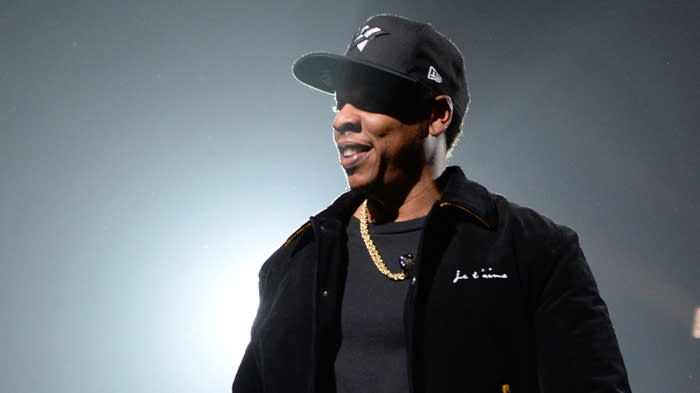 Another strategy that JAY-Z's team is taking is to release tickets on the day of the show. In Las Vegas, it was reported that 1,480 tickets sold, without having to mark the price down, within 24 hours of Hov taking the stage. According to Al-Joulani, JAY-Z has already sold more tickets than the entire Magna Carta tour, and that's with 30 shows left on the dockett. After all, he's a business, man.